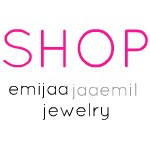 Emijaa Jaaemil...: YOU ARE INVITED!!!!! You are invited to come and celebrate the holidays at Sky Room with the gals of Honey B. Creations. Come meet and party with us! !